Hoy os traigo algo breve y un poco perdido de la ciudad de Oporto. No voy a decir que "encontré" algo que lleva aquí desde casi siempre. Pero sí que tuve suerte de dejarme caer por allí. Estaba en Oporto pasando unos días con mi buen amigo Áusies, y al equivocarnos de alguna manera, llegamos aquí: el Barrio 'das Fontinhas' o de Corticeira. 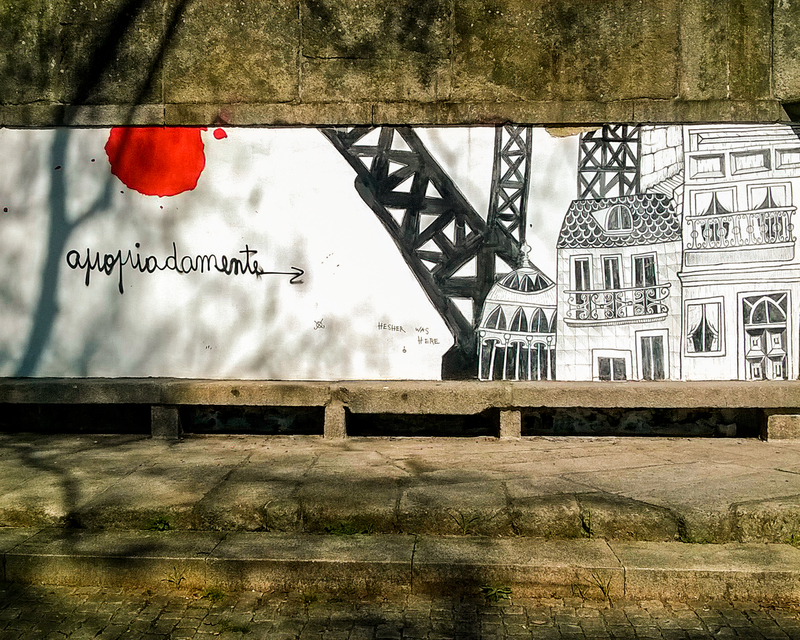 Today, I have something brief and lost from the city of Porto. I'm not going to say that I've discover someting which has been here for ages. But I will say how lucky I am to find it in my journey. 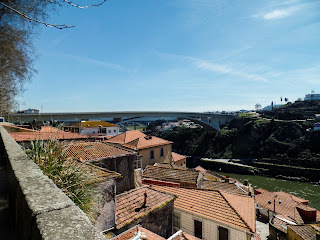 I was in Porto, spending some days with my good friend Àusies and, after do something wrong in some point of our path, we arrived here: the Corticeira or Fontinhas neighbourhood. Había estado muchas veces en Porto antes. Y volveré a estar después. Pero como no vivo allí, y cuando voy sólo es de paso, pues no tengo mucha idea de qué ver, más allá de lo turístico. En Lisboa sí puedo llevaros a un par de sitios chulos; por cierto, podéis dejar un comentario al final si estáis interesados un guía turístico, a buen precio, de la Ciudad de la Luz. I've been in Porto many times. And I'll be more in the future. 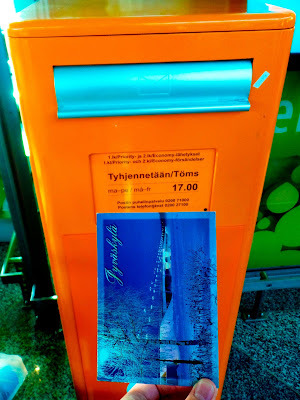 But, as I'm not living there, and I just stop there for some hours (or a couple of days as much), I still don't have a list of ouf-of-the-guides places. In Lisbon I do know some places; let me know with a comment at the end if you are interested in a cheap tourist guide for the City of the Light. Después de pensarlo algo, no sabía muy bien dónde ir, además de hacer una peregrinación al Estadio do Dragão, comer francesinha, y deambular sin rumbo (cosa que estaba marcada para la tarde). Así que se me ocurrió preguntar en la recepción del hostel donde nos alojamos. Allí, puedes pedir el consejo de un local, que suele recomendarte algún lugar no muy turístico. 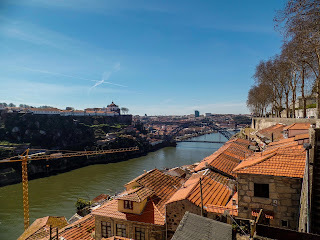 After put some thinking on it, I already didn't know what to do, besides visiting famous Spamish goalkeeper Iker Casillas at Porto Stadium (Estadio do Dragão), eating francesinha (typical sandwich) and wandering in Porto streets, which was the idea for the afternoon. So I decide to ask in the hostel where we were sleeping that night. There, you might find a good advice, unless you want to discover it without any hint. El chico que estaba en la recepción, un 'salao', nos recomendó un par de sitios: el mercado de Bolhão, que merece la pena, pero que para dos chicos llegados del país de los mercados no guardaba mucho misterio, y la 'feira' de Vandoma, un rastro o mercadillo callejero, que sólo se monta los sábados por la mañana. Aquel día era sábado, y aún quedaba mañana por delante, y nos quedamos con el mercadillo. The guy at the desk reccomended us going to two places. 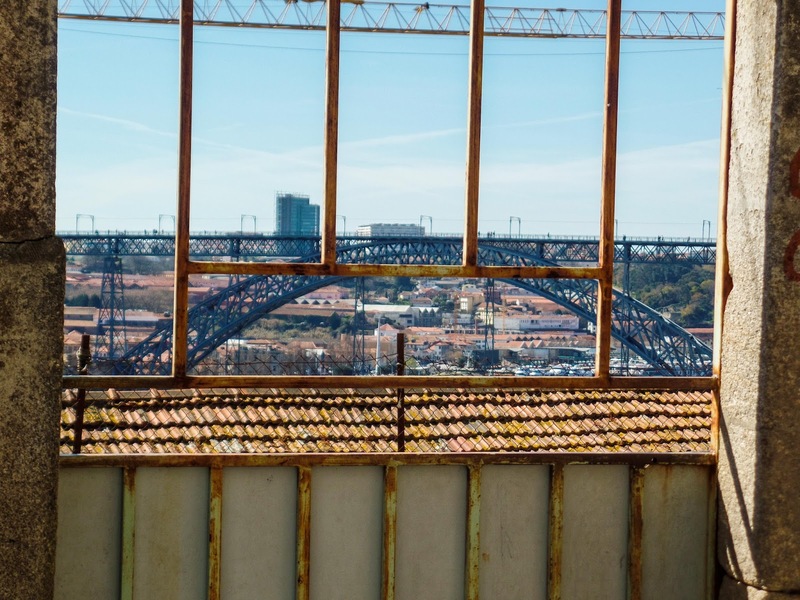 Idea A: the Bolhão market, a Porto must-see, because of its architectonic style and its traditional food stores, but something we already know (because Spain is filled with this kind of places). Idea B: the Vandoma Flea Market, which is only 'open' on saturday morning. That day was saturday, and it was still the morning, so we dedided to go there. Después de dejar nuestras cosas por el hostel, salimos a encotrarnos que había. 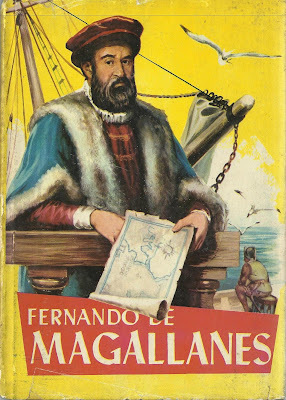 Yo ya estaba pensando en comprarme algún libro usado al llegar allí. No sé si porque no fuimos donde teníamos que ir, o porque ya era demasiado tarde, pero la rua do Sol, donde se instala el mercadillo de Vandoma, estaba vacía y sin aparentar haber acogido un mercadillo hace tiempo. El caso es que estábamos allí sin hacer mucho, y dijimos de bajar a la ribera del Duero. Por las fotos parece que está cerca, pero había que dar algo de vuelta. Sin nada mejor que hacer -la cantidad de cosas buenas que salen porque no hay nada mejor que hacer...-, nos internamos en el barrio de Corticeira. I don't know, but I had the sensation we were far far away from Porto (and it's not). So, being there, why not take a walk in the neighbourhood? The river was near and we could go walking... and we went there. Without realizing, and because we didn't have any better thing to do, we penetrated into Corticeira neighbourhood. En ese momento no sabía que se llamaba así. Sólo parecía la mejor manera de llegar al rio. Y lo era, pero por motivos más pintorescos. Este barrio, Corticeira, está edificado en la pendiente que lleva a Porto al Duero. Que más que pendiente, es un escarpado acantilado. 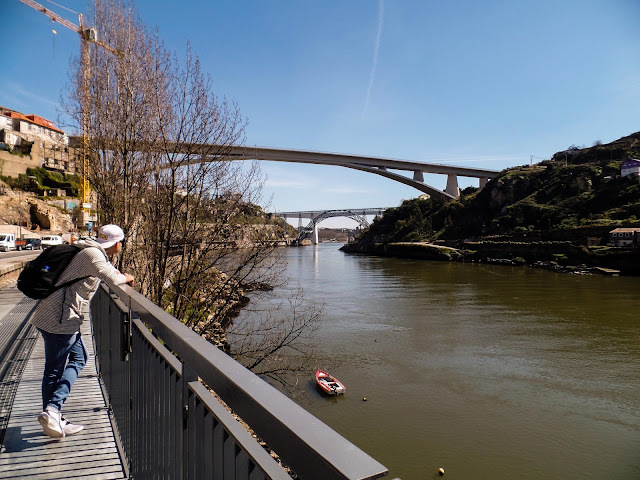 Corticeira se apiñaba entre el Duero, la rúa do Sol, el puente del Infante y el puente de Luis I (obra de Eiffel, icono de Oporto). In that moment, I didn't know it was called like this. It just seemed the best way to reach the river. And it was, but for scenic reasons more than for nearness. This neighbourhood, Corticeira, is between the city and the river, nailed in a cliff, trying not to fall into rhe water. In case you want to know, Corticeira is located between the bridges of Luis I (icon of the city) and Infante, the river and the rua do Sol. Aunque orientarse es fácil, porque sólo tenemos que dejarnos caer hacia el rio, a veces encontramos calles que no tienen salida. Casi sin espacio, las casas bajas se apiñan unas con otras, dejando callejones y escalones para llegar a las casas más altas. Se acaban en un muro o en una casa abandonada, lo que es bastante normal en Porto. To orient oneself here is easy, becase you only have to go down to the river; althrough, sometime we find streets without exit. There is no space for more: a bunch of small houses are packed in this small area, leaving alleys and stairs to reach the outlying houses. And this alleys and stairs end in a wall or an abandoned house (which it's not strange here in Porto). El paseo es corto, y no tardamos mucho en llegar al rio. 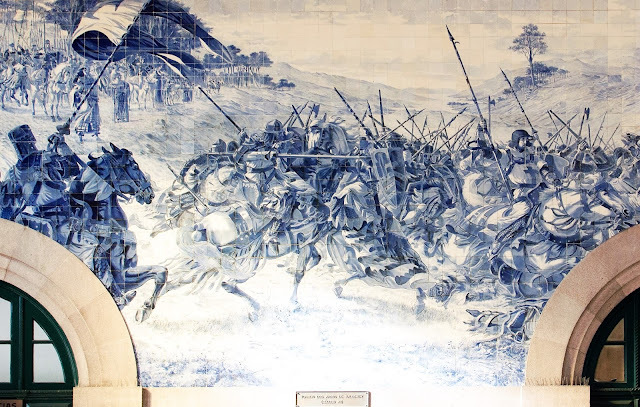 Pero la verdad es que no tiene mucho más para ver que las pequeñas calles empinadas, los azulejos de santos en las fachadas de las casas, y el colorido de sus paredes. 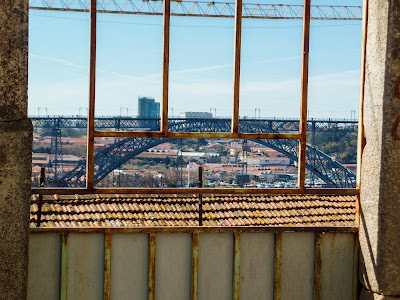 De su historia, no queda mucho, más allá de la fábrica de cerámicas abandonada, de la que se habla mucho más en este artículo (en portugués): A Vida em Fotos: 59 - A Corticeira. Das Fontaínhas até à Marginal. Aquí se pierde Oporto. It's a short walk, but there is not much to see, besides the steep streets, the tiles with saints in the walls and the colorful of its facades. The history of the neighbourhood it's getting abandoned slowly, leaving behind a forgotten ceramic factory, a chapel and some houses. You can read more about Corticeira here: A Vida em Fotos: 59 - A Corticeira. Das Fontaínhas até à Marginal.